The University of Wisconsin is a national leader in the research and development of dairy science. 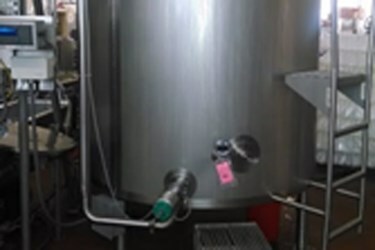 When it became necessary to update their mixing processes they chose to update their system to take advantage of the benefits offered by load cells over pressure gauges. They turned to Dahnke Sales, a local manufacturing rep who specializes in industrial applications and Sartorius Intec, one of the world’s leading manufacturers of industrial technologies to supply the controller, mounting kits and load cells. Even Willy Wonka had to learn his trade somewhere. For those modern day, and less fictitious dessert entrepreneurs keen to follow in his footsteps there are few places better to study than the University of Wisconsin- Madison Babcock Hall Dairy Plant. Here, students manufacture a range of Wonka-esque products that over the years have included flavors such as Berry Alvarez, Bo’s Express and Crazy Legs. Taking its name from Stephen Babcock, who rose to (dairy based) stardom in 1890 after developing a way to test butterfat levels in milk, the Babcock Dairy Hall Plant is the oldest university dairy building in the USA. While those who are a little rusty on their dairy based history may not be familiar with Babcock’s work, we should all thank him as his tests discouraged farmers from adding water to their milk, or skimming off the cream!